My thoughts and prayers are with you and your family. You are a Hero Deputy Chism. Thank you for doing your job. Rest in peace Dear Brother. God Bless. "HEROES LIVE FOREVER"
Rest in peace Deputy Chism. Sgt. Randy Keenan / Ret. 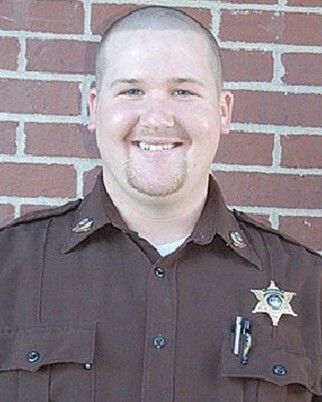 Rest with God Deputy Chism. Your dedication, devotion, and ultimate sacrifice will never be forgotten. Prayers for your family during this time in their lives. RIP brother. Your job is now done. The greatest sacrifice has come too fast. May your family & friends conquer with peace for the Valiant young person you were. God Bless you and the Cedar County Sheriff's Office. My heart breaks as I hear this, please know my thoughts and prayers are with your family and friends as another Hero receives his wings. Our thoughts and prayers are with the family, friends of coworkers. Stay strong and sorry for your loss. Brothers to the end. May God bring comfort to the family, co-workers, and friends of this hero. Please take comfort in the fact that Deputy Chism will FOREVER be a hero and will NEVER be forgotten! R.I.P. Brother,you will never be Forgotten! God bless Deputy Chism's family, friends and coworkers and give them strength and peace to get through their grief and pain. Thank you for your service and sacrifice brother. So very sadden to hear this news. Sending many thoughts and prayers to all those impacted by this tragedy. illuminating like the brilliance of the skies the soul of Matthew Chism who went to his eternal place of rest. May You who are the source of mercy shelter him beneath Your wings eternally, and bind his soul among the living, that he may rest in peace. And let us say: Amen. RIP Brother. Thank you for serving your community and our country. My thoughts and prayers are with your family, friends and co-workers. RIP Deputy and LEO Brother... your fine service was appreciated and will not be forgotten.